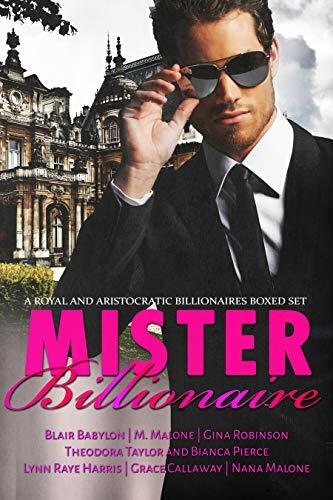 What’s better than a Mister Billionaire? How about SEVEN royal and noble Mister Billionaires who’ll wink at you with a sultry smile, save you from the bad guys, and rock your world? Yes, please! Everything in this boxed set is big, tall, ripped, and hot! This romantic suspense and romantic comedy anthology of seven full-length romance novels will draw you in, open your eyes, make your heart pound, and have you fanning your face. The bad guys are kidnappers, spies, fortune-stealing scoundrels, bride-buying evil-doers, and of course manipulative, over-protective parents and older brothers, but the very, very good guys will rescue you, whisk you away to their noble manor houses, and show you just how good it is to be with the king.